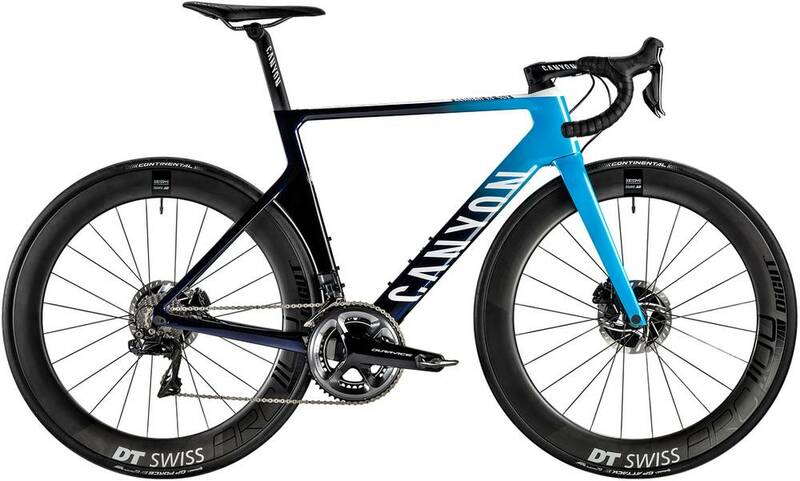 Canyon’s 2019 Aeroad CF SLX Disc 9.0 Di2 is an ultra high-end component level carbon frame race / aero bike. The 2019 Aeroad CF SLX Disc 9.0 Di2 is geared about the same as similar bikes for riding up hills. The 2019 Aeroad CF SLX Disc 9.0 Di2 is geared about the same as similar bikes for riding downhill.